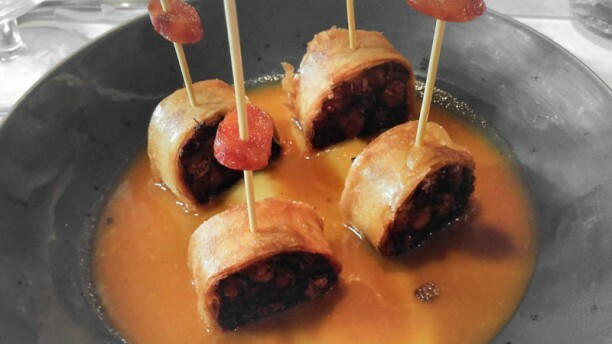 Cremoso de queso de cabra con salsa de tocino de cielo. Ganador del PRIMER LUGAR del concurso Porche Gourmet 2014. Torrija caramelizada con natillas y helado de vainilla. Tarta de queso sobre natillas con mermelada casera. Pretty good. A little expensive for small portions. The food was inventive and brilliant. Oxtail and chocolate! Really outstanding meal. A bit on the expensive side by Spanish standards, but incredible value for what you're getting. We had the tasting menu, and every dish was spectacular. Staff were really lovely too.